Neil Morris is Chair of Educational Technology, Innovation and Change in the School of Education and the Director of Digital Learning at the University of Leeds, reporting directly to the Pro-Vice Chancellor for Student Education. 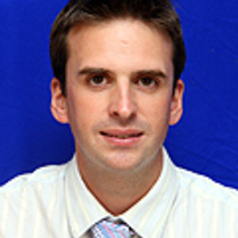 He is a National Teaching Fellow, and has won a number of national awards for teaching excellence. Neil has a research background in neuroscience and current research interests in educational technology, online learning and blended learning. He has conducted a number of published research studies on the impact of mobile technologies on student learning and engagement and he is the co-author of Study Skills Connected, a successful textbook on using technology effectively to enhance learning (Palgrave MacMillan), and Studying a MOOC: a guide (Palgrave MacMillan). Neil has led a number of strategic technology projects at Leeds, including MOOCs for FutureLearn, lecture capture, Open Educational Resources, Virtual Learning Environment and student response handsets. In his current role, Neil has strategic and operational responsibility for the Digital Learning Team, which is responsible for the University's iTunesU site and delivering MOOCs for the FutureLearn platform. Neil has authored a number of strategies and policies for the University, including the Digital Strategy for Taught Student Education, the Blended Learning Strategy, the MOOC vision and strategy and the Open Educational Resources policy. Neil has given a number of keynote talks at UK and international events, and is a regular speaker at conferences.